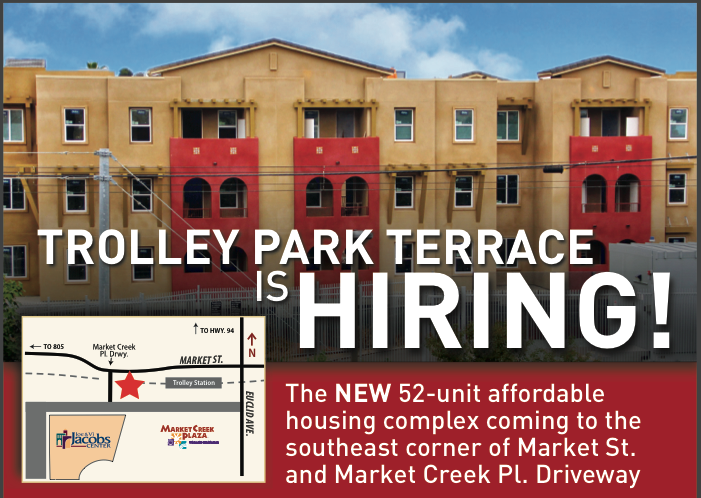 Trolley Park Terrace is Hiring! Hyder Property Management Professionals is seeking a full-time maintenance tech to oversee the 52-units of this affordable housing community. Excellent salary & benefits. Must have 2 to 3 years of relevant experience in mechanical maintenance and repair techniques. Must have current driver’s license and auto insurance. • Respond to resident requests for maintenance and service by taking appropriate action to repair and/or restore service within the quality and time standards established by the organization. • Report all deficiencies and/or risk management safety issues immediately. • Ensure that apartments are ready for occupancy by performing needed electrical, HVAC, plumbing, carpentry, appliance repair, and other miscellaneous equipment maintenance and repairs, as well as carpet cleaning, painting, and overall apartment cleaning or other activities as directed. • Maintain tools, equipment, and workspace and ensure they are organized and in proper working order, request replacements as necessary, and assist in stocking the inventory. • Provide superior customer service to internal and external customers.